so I can praise Your holy name. I'll praise Your holy name!" Wait on the Lord. Continue to wait on Him patiently. Do you really trust God? Then keep pressing on knowing that He is your God. Get ready for what you are trusting the Lord for. Prepare yourself to receive your blessing. Godly waiting consists of preparation. If you really believe that Jesus is going to come through, then you will want to be ready for what He has for you. Wait on the Lord, but get ready for the next level. Your blessing is coming! Trials are tough. Waiting is hard. Sometimes we make these situations even harder on ourselves by how we wait in God. Here David says he will seek God’s face. In middle of our trials we should be seeking God more and more. Too often we get caught up in just wanting our situation to be over. Everything God puts us through, however, is for a reason and it has a purpose. Seek Christ in the midst of what you’re going through. Don’t focus on the problem, but seek God’s wisdom. Figure out the reason God is letting you be tested. Jesus wants everything you go through to be a means of bringing you closer to Him. He is not just putting you through something just because. He wants you to come out stronger, wiser, and better than before. Seek God’s face. Trust that He has a plan. Wait on the Lord. When God is the strength of your life there is no reason to fear anything. If we take our focus off of the Lord fear rises up quickly. We think about all of our situations and wonder if He will really come through. Sometimes other people question our God because they don’t know Him. As Christians we can have faith that God is exactly who He says He is and that He does everything in His own perfect timing. God is your light. In this dark world the Lord is all you need to endure. Waiting on Christ can be tough, but you just have to trust Him. No matter what anyone else says, just trust God. No matter what fears pop up in your mind, remember who God is. People may not understand, but you do. God is your light and salvation. Wait on Him to come through with no fear! You can trust Jesus. Waiting on God is hard. Even for the most mature children of God, waiting can be a difficult task. Not knowing what the Lord is going to do in our lives is stressful. Not knowing when He is going to come can be even more stressful. But God calls us to simply wait on Him. He doesn’t have to tell us everything because He knows everything. You can let go of all your stress and just trust Him. Trust that God knows EXACTLY what He is doing. Think about all the times where you thought it was the end, but God came through and turned your situation around. Wait on the Lord. Don’t just think that He might come through, but know that Jesus will. Be courageous and strong knowing that God showed out before and that He always will. When you trust God totally He will come through at the right time (His time), in the right way with a blessing just for you! The Lord will give you strength IF you just trust Him. Wait on the Lord. I call You faithful, Your name is faithfulYou are so faithful to meI call You faithful, Your name is faithfulFaithful You are and faithful You'll be! God is a faithful Friend. He’s more faithful than you could ever imagine. Christ is holy, righteous, awesome, healer, savior, all that and more. God is the only friend you have that will never change. Others may go, the friendships may die out, but God always remains the same. His love for you is not dependent on how you treat Him (praise God!). He always has your back no matter. Even when you feel like you have no friends, Jesus Christ is always your friend. Be blessed! Are you a true friend to God? If you are a true believer, then He is definitely your friend and He calls you His. But do you treat God as if He is your best Friend? Take a moment to think about the qualities you desire in a friend. Actually, just think about all the ways that Christ is such a wonderful friend to you. The Lord makes time for us. He listens to us. The Spirit gives the best advice. Jesus’ love can be shown for us in all that He does. Do you show Him that you appreciate His friendship? Jesus said we are His friends if we follow His commandments. Praise and worship has its place. Saying, ‘Thank You,” is absolutely necessary, but we are called to follow God’s commandments. When another person does something for us we want to be nice back to them. Who has treated you better than the Lord? Who is a better friend than Jesus? Show God that you are His friend and that you appreciate Him. Not only in what you say, but more importantly through what you do. We are called to love each other. Loving God can be difficult, but loving other people is an entirely different challenge. We are not to just love those who are nice to us. We are to love everyone. Even when we get cursed out; we are to love. After we have been disrespected; we are to love that person. No matter what the circumstance is we are called to display the love of Christ. Why? Because Christ has commanded us to! Aren’t you glad that you can experience Jesus’ love? That self-sacrificing love that nothing else can compare to. God is calling you to display that love to the rest of the world. I know, you may be going through come things. But trust me, somebody else has it worse. And if you really love Christ you will obey His command and love others like He loves you. People may not deserve your love, but you and I definitely don’t deserve His. Spread the benefits of being well connected to Christ! Developing a friendship with Jesus is hard work! In fact, cultivating any relationship will require commitment and sacrifice. To really get to know someone you must spend time with them. There is no shortcut. This is why so many friendships fall apart. Neither party makes an effort to reach out and communicate. Thank God that we can never lose our relationship with Jesus. Sometimes, however, if we don’t put the work in we can feel so horrendously disconnected from Christ. If you have accepted Christ then you are His friend. But now you have to work at making that friendship worthwhile. Jesus Christ should be your first and foremost love. Your heart should belong to Him. You should develop a desire to know Him more by studying His Word; the Bible. You should also have a desire and discipline to put the biblical principles you learn into practice. Through this you will maintain fellowship with God and receive all those blessings He has exclusively for you. You should take advantage of being well connected to Christ! If you are a true believer, then you are a well connected person. You are God’s friend. Today so many of us are always trying to get connected to the right people. We’re always trying to add ‘connections’ or ‘friends’ depending on your social network of choice. Why? Well the old saying goes, “It’s not what you know, but who you know.” If this is the case you have nothing to worry about because you know Jesus Christ. If you have been washed in the Blood, then the Lord considers you a friend. The next time a group of people are name dropping you can say, ‘Well I’m good friends with Christ! He loved me so much that He died for me.” No matter what anyone else thinks about you or who else you know; you are a close friend of God. Hold your head up. Walk through life confidently. Be bold. You are well connected. You are God’s friend. “Do I worship God with my heart, or just my actions?” We should all ask ourselves this question periodically. With all the responsibilities of life our schedules can be quite demanding. We can easily get caught up in repetitive actions just because we know we should. We say our morning prayers, go to church, go to Bible study, and the like. All these things are fine, but if your heart is not in it, then they are pointless. 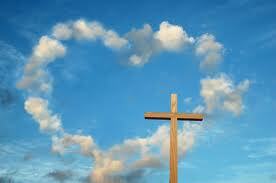 God may have your actions, but does He still have your heart? The Lord cares about where our hearts and minds lie more than what we do. Being a living sacrifice requires the continual development of our relationship to Christ. Study, meditation, prayer, and righteous living should all come from an inner desire to submit your all to Christ; not just to check off your to do list. In the middle of your busy life when was the last time you just told Jesus you love Him? At one point in time the Lord accepted dead sacrifices. The periodic shedding of the blood of animals sufficed. However since Jesus Christ shed His blood on the Cross, God requires us to gives our lives to Him in a different manner. As born again believers we are to be living sacrifices. Now we must learn to die to our old sinful selves. Every part of us should be a sacrifice to the Lord. ‘Reasonable service’ can be understood as saying, ‘this is what you should do.’ When someone does something nice for you that usually makes you more inclined to help them when they ask. God the Son have His very life just for you! And now He has called us to give our lives back to Him. He gave His all to you when you were totally underserving. The least you can do is give your all back to Him. This is what you should do! Are you a selfish Christian? I’m not talking about with your things, but in the way you relate to God. Most of pray to God and all we think about is ourselves. ‘Lord please give me that new job.’ ‘Jesus, why are you letting me go through this?’ ‘God help me make it through this.’ ‘Jesus, why are you making me wait SO LONG?’ Now none of those things are bad in themselves. They are just selfish. When we think about how Christ works in our lives we must remember that we are a part of God’s greater plan. God may be using you to benefit someone else. Your trial may be to bless someone else. He may have you in a negative work environment to be a blessing. The Lord may be making you wait because there are other parts of His plan that still coming to fruition. Understand that the world is much bigger than just you and so is God’s plan. He has not forgotten about you. There may just be some other things going on that you don’t know or understand. God has a reason for everything He does and everything that He allows to happen. Do you trust Him? Here is Joseph, at the end of his life, addressing Hos brothers. His brothers that hated him. The men who thought about killing him. The ones who sold Joseph into slavery and their told father that he died. Now an old man, Joseph tells his brothers that what they intended for harm God used to help. Through ALL the pain, loneliness, and lies Joseph came to understand that God was with Him the entire time. The New Testament says that for us (born-again believers) all things work together for good (Romans 8:28). Joseph saw that mightily all throughout his life. He was able not to be bitter as an old man because He saw and understood God’s plan. You need to understand that Jesus has a plan for you. The thing that is wearing you down right now might be the very same thing to set you up for a blessing. God has a reason for everything He does and everything that He allows to happen. Trust Him!!! Sometimes God works behind the scenes in our lives. We tend to base our outlook on situations simply by what we see, think, know, hear, etc. But we have to remember that our God is all-powerful. He works in ways we don’t understand because His mind is so much greater than ours. He knows things we don’t, and therefore operates in ways that may seem irrational to us. Part of being a faithful disciple is believing that Christ knows even when we don’t. You are in one place in time with a finite understanding of things. God, however, can do anything and knows everything. Right now God is setting something in place just for you. Whether you can see it or not, the Lord is preparing a blessing for you. An end is coming to your trial. You may not see it, but He can. God has a reason for EVERYTHING He does. Trust him.